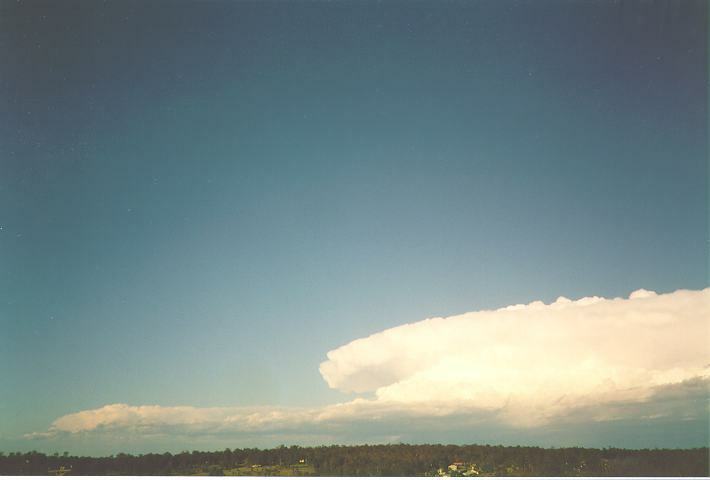 17th November 1989 - A thunderstorm band develops to the southwest of Sydney and passes over the central suburbs before heading out to sea. 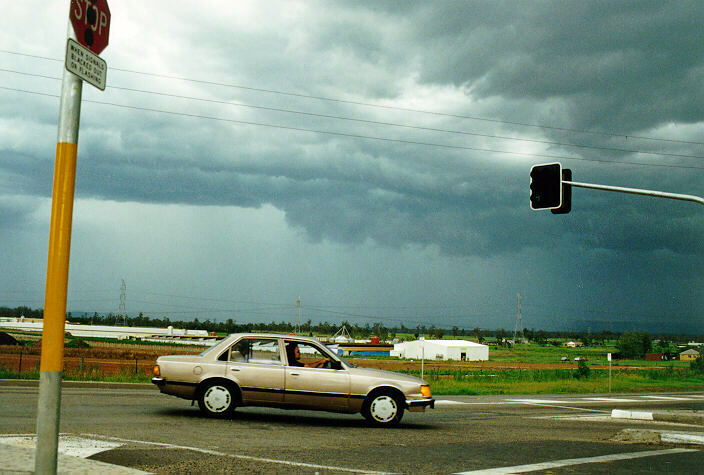 Golf ball sized hail fell at Parramatta and winds to 107km/h were reported during the storm. 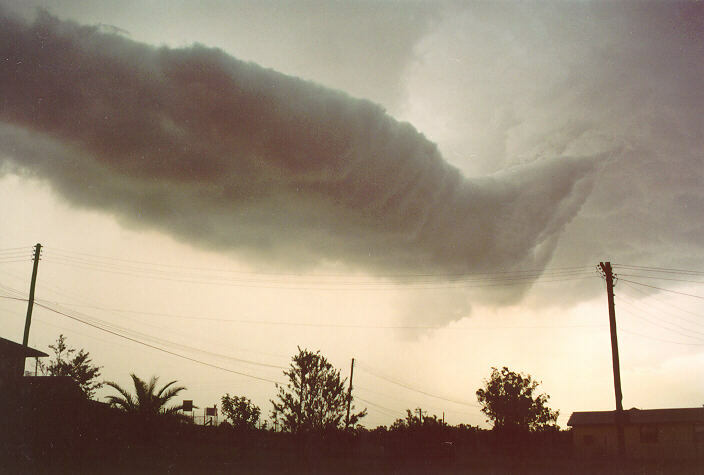 The most significant feature of this storm was the spectacular roll cloud. 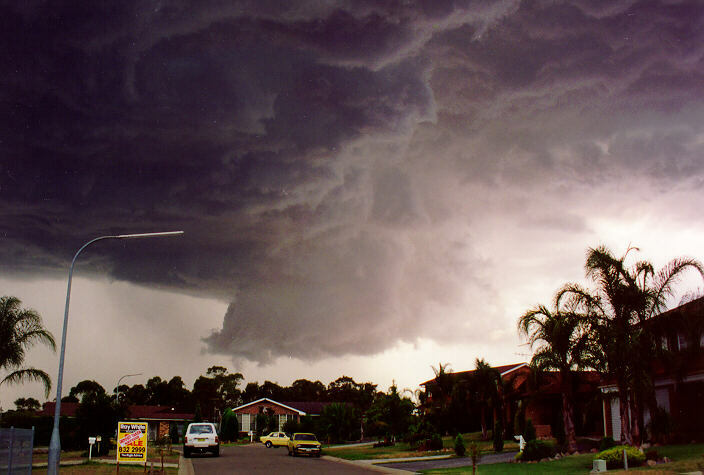 12th February 1992 - A cluster of large cumulus and cumulonimbus developed into a monsterous local Severe Thunderstorm which affected the Wentworthville - Toongabbie region. 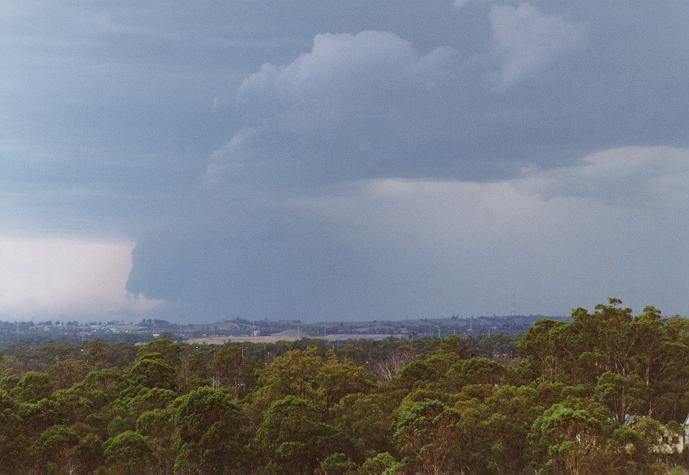 It spawned hail with diameters up to 7cm, damaging winds and torrential rain. The most significant damage were shattered roof tiles: the area looked like a tent city due to the amount of tarpaulines covering roofs. Other damage included hail dented cars, broken windows and uprooted trees. In some cases, people did the right thing by putting the cars under their car port only to find some car ports collapsed under the weight of the hail piled on them. Days, and even weeks after the event, leaves and twigs stripped from the trees still lay on the ground. 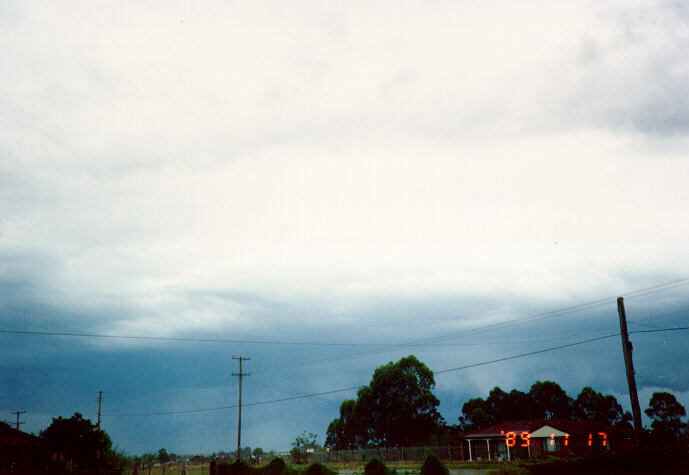 4th January 1992 - A Severe Thunderstorm with hail to 3cm, winds up to 100km/h and torrential rain occurred approaching Macksville (first picture) and Warrell Creek (other three), NSW. Note the light green tinge and the hanging scud cloud curtain along the base: a sure indication that this storm is severe. 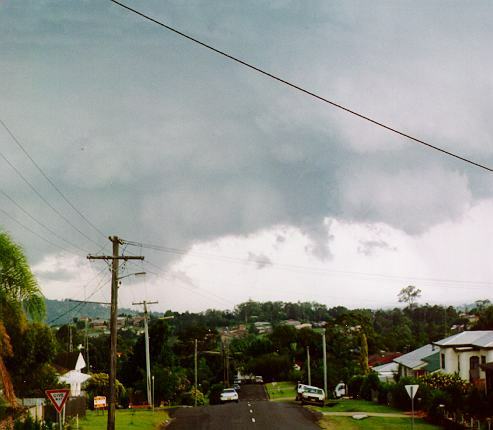 26th December 1993 - Boxing Day: A severe supercell thunderstorm dumped large hail in the Wyong region and surrounds during the mid-afternoon period. The hail and severe winds caused major damage to buildings and cars as well as uprooting trees and unroofing houses. One significant feature of this storm were the hail drifts: up to half a metre thick in places. Photography by Jimmy Deguara. (The photographs have been taken from a distance at least 80km away. 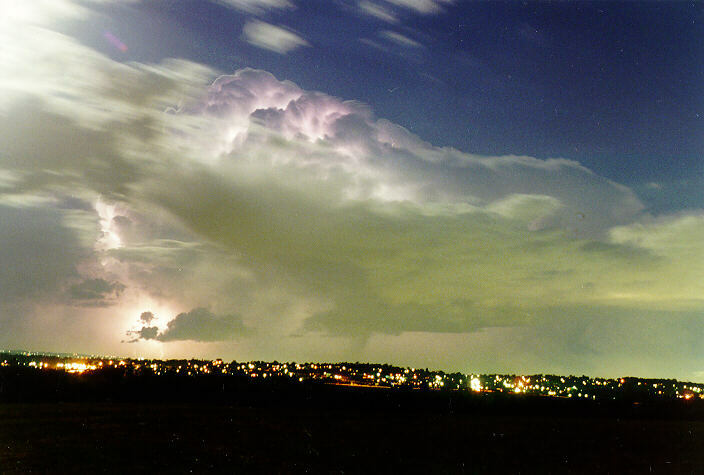 It took 2 photographs to fit this huge thunderstorm despite the 28mm wide angle lens). 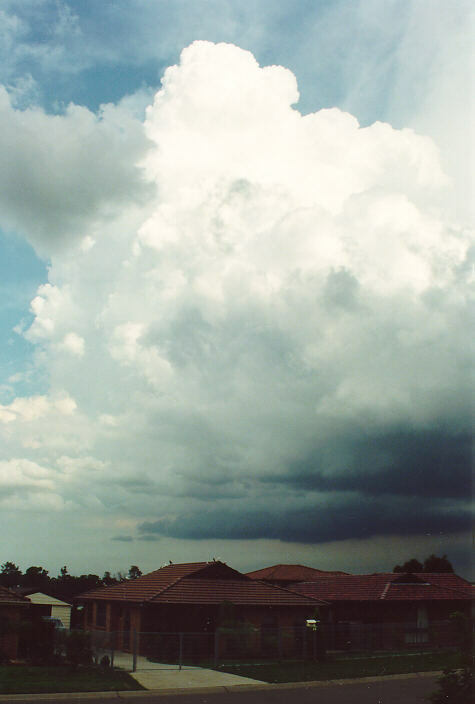 In this photograph below, another adjacent thunderstorm can be observed. The overshooting top is partially visible. 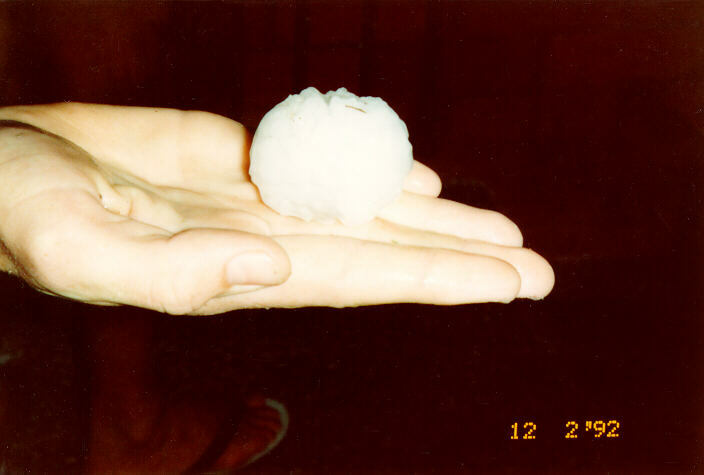 21st December 1991: An extraordinary hailstorm hit South Kempsey (NSW) and surrounds during mid afternoon on this date. 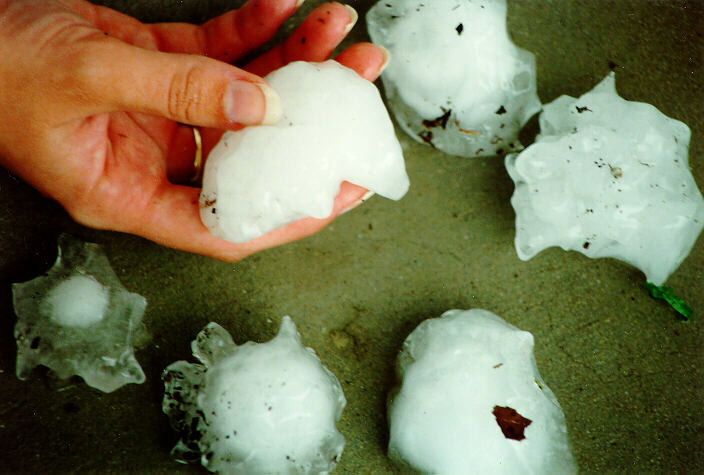 The largest ever hailstone measured in Australia occurred - 14cm ! Stones to 8cm fell prior to the onset of 10 minutes of torrential rain at the location shown here, and caused considerable damage to roofs and cars in the area. Fortunately, the storm tracked mostly through farmland. 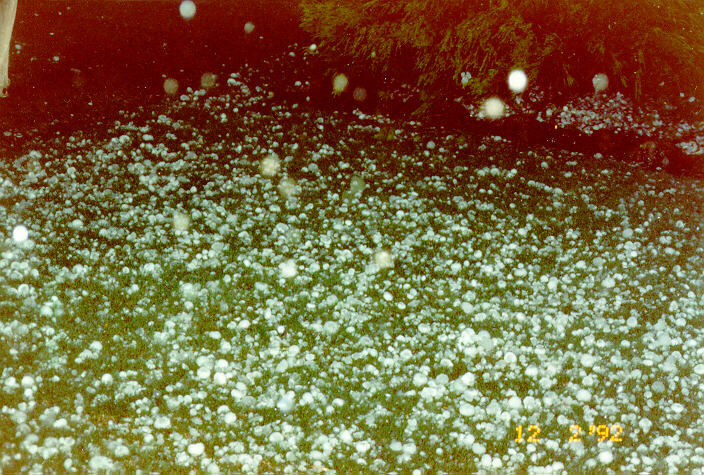 A second hailstorm followed the first about an hour later, but hailstones measured just 2cm maximum. 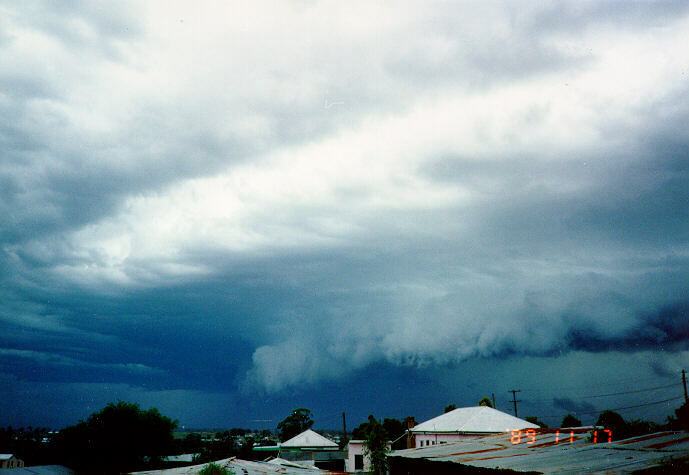 Friday 6th January 1995 (chase by Jimmy Deguara): From early morning, winds were from the NW. It was hot and humid. Cumulus patches were developing on the mountains. A line of active storm cells appeared from mid-morning with altocumulus and dissipating cumulonimbus stretching NW to SE. The thunderstorms approached slowly from SW with storms moving SE. By 2pm, storms developed ahead of the main storm band. This provided a good opportunity for a storm chase with one hailstorm reported around Fairfield about 2:30pm. From 2 - 3pm, I had moved from Schofields to Plumpton and then around to St Marys finally stopping at Rooty Hill. 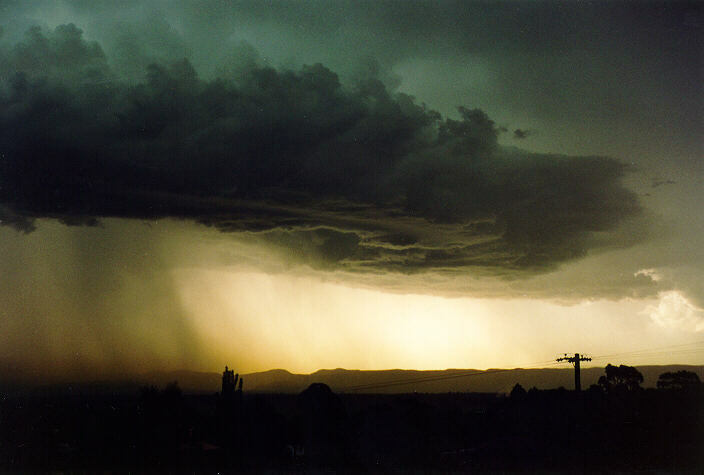 After some spectacular photographs of the heavy precipitation cascade, the storm chase was called off. 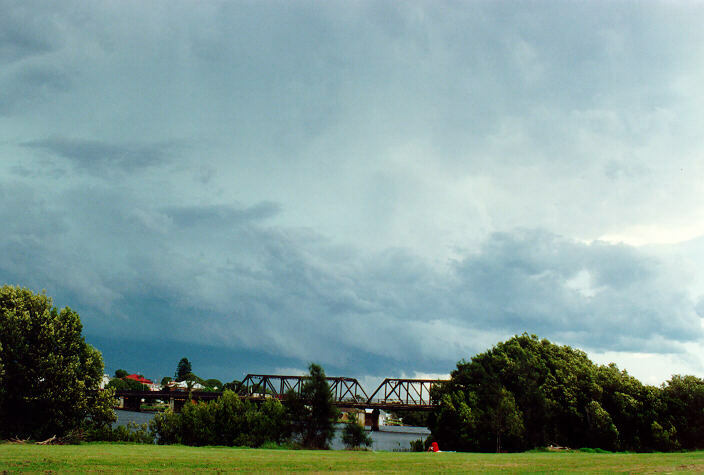 It was then a race against time to return to Schofields before the main band of Severe Thunderstorms approached from the W. Rapid development occurred around Schofields from 3-3:30pm. Light green tinges existed in the bases of most storms. 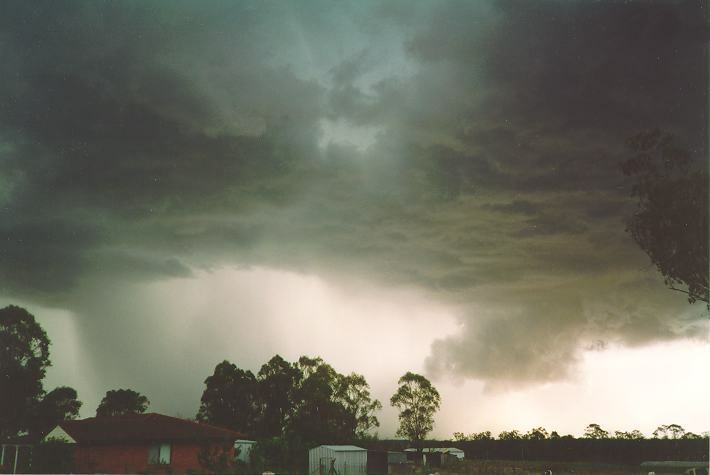 A major storm with light hail, strong squally winds and very heavy falls of rain struck Schofields, Riverstone and other adjacent areas. This particular storm lasted about 25 minutes. 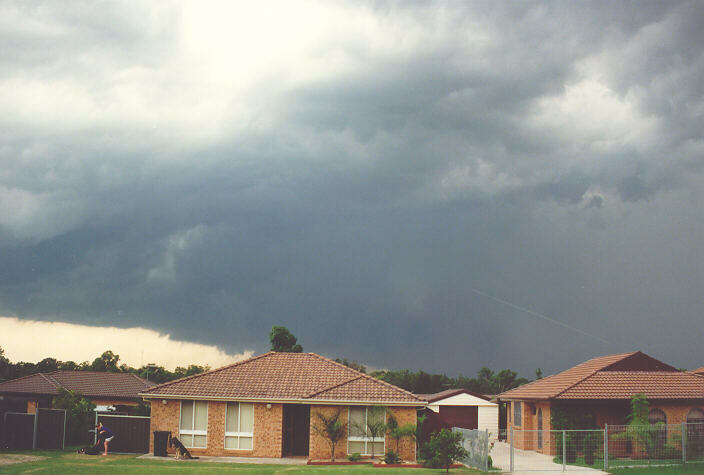 Tuesday 1st February 1994: After a hot and humid day with some weak storm development early afternoon, one storm cell developed further into a severe event. 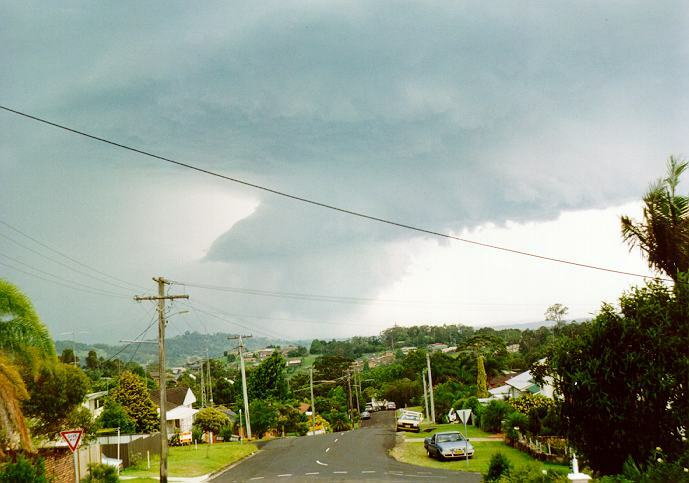 Over the SW suburbs of Sydney at 5.15pm, it produced winds to 90km/h. The storm then moved generally N/NE and intensified as it headed towards Minchinbury and Mount Druitt. 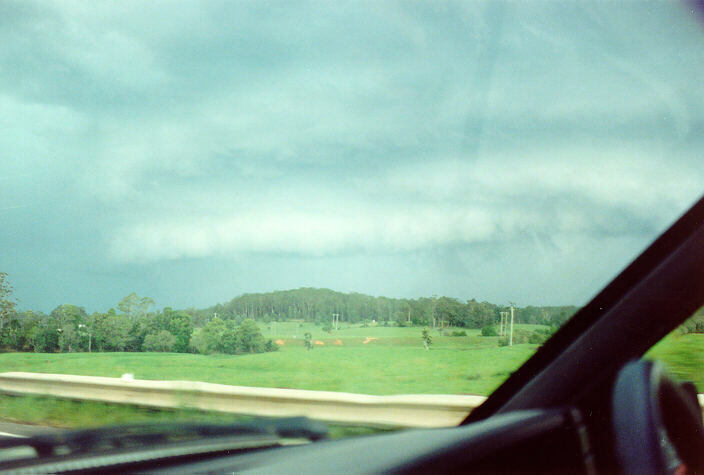 At Oakhurst a large pendant of arcus cloud developed beneath the storms lowered base as it moved in from the south. Very little lightning occurred. Rapidly moving ragged whisps of white cloud swirled overhead with green cloud above the lowered base. 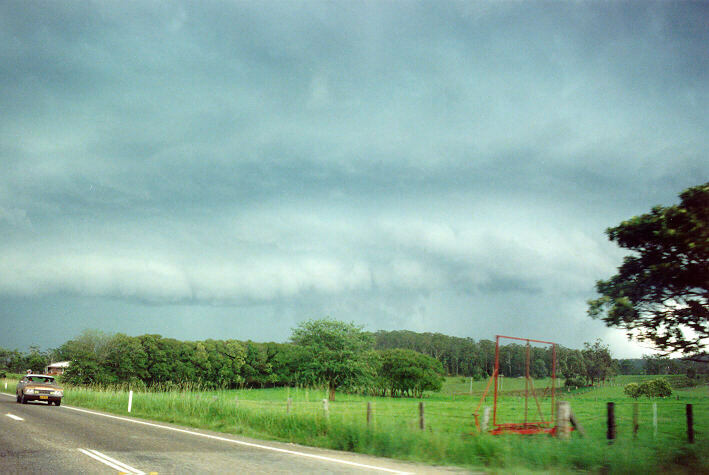 The arcus cloud continued to advance N/NE and became brown as lifted surface dirt was sucked into the updraft. At 6pm the wind backed strong southerly and a band of torrential rain commenced to the SE. The storm seemed as though it would pass to the east, but at 6.05pm the updraft suddenly changed to a downdraft and sent torrential rain and hail 2-3cm in diameter pelting down, first from the S/SE then from the W/NW and finally from the N/NE. The hail lasted 10 minutes, the rain 15 minutes, with 30mm recorded in that time. Winds were estimated at 80 km/h but were much stronger in the Mount Druitt area where many large trees were brought down and homes damaged. 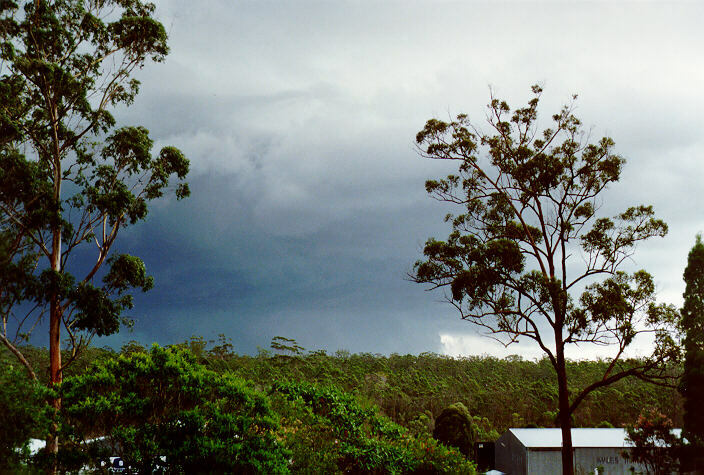 A hailstorm with interesting shelf cloud approaches from the Blue Mountains on 19th November 1993. 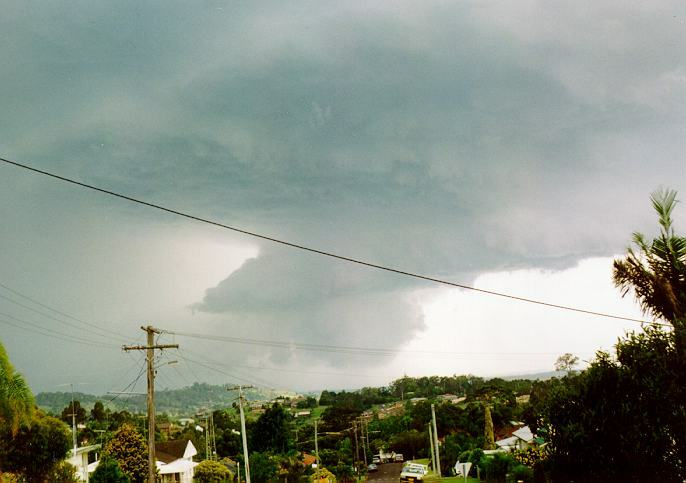 Winds to 50 knots and hail to 3cm were reported from many western suburbs of Sydney. 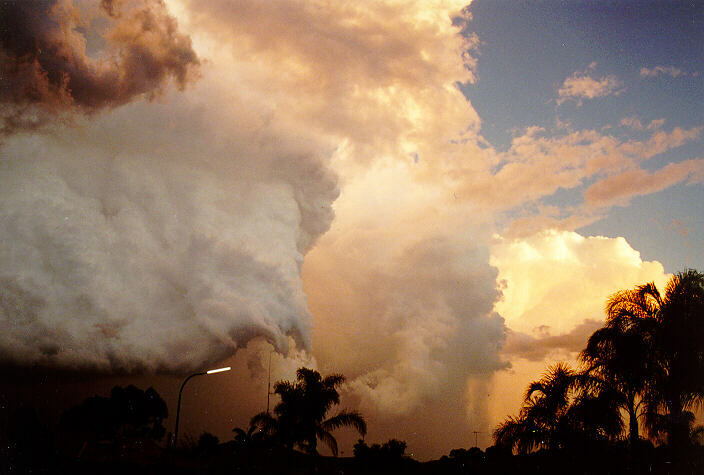 Spectacular cumulonimbus updraughts illuminated by the setting sun, 23rd March 1997. Lightning was constant from the storms as they stagnated off the coast of Sydney for many hours. 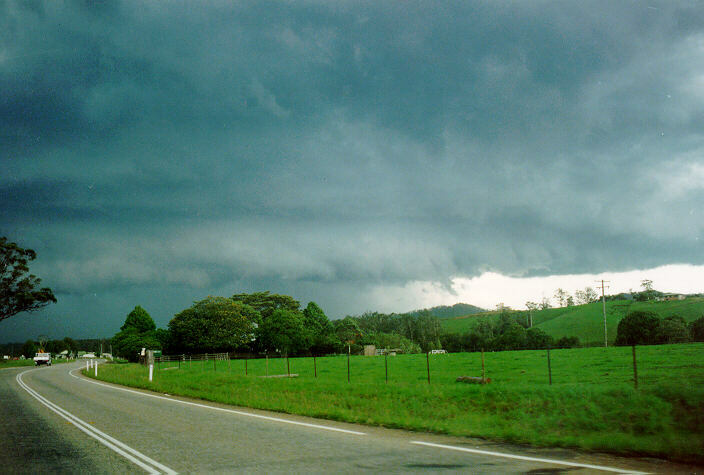 A wall cloud protrudes from the rear of a supercell near Lismore, NSW on 16th December 1995. 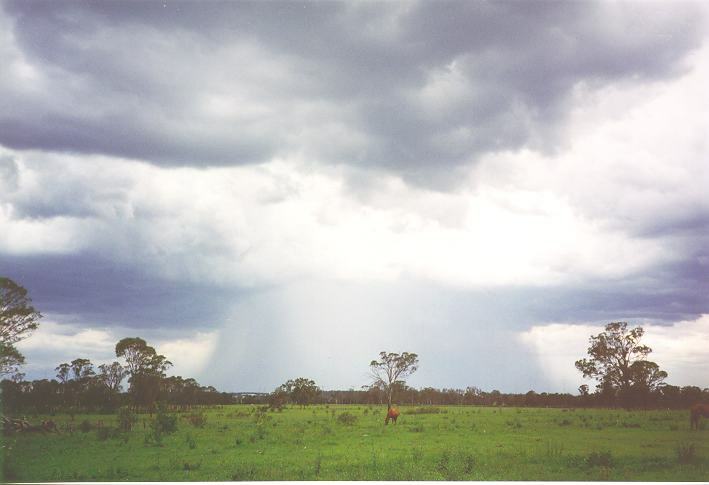 Photographs by Leith Martin of Goonellabah showing the view to the south. Intense precipitation, including golf ball sized hail, is occurring to the left of the picture (east). 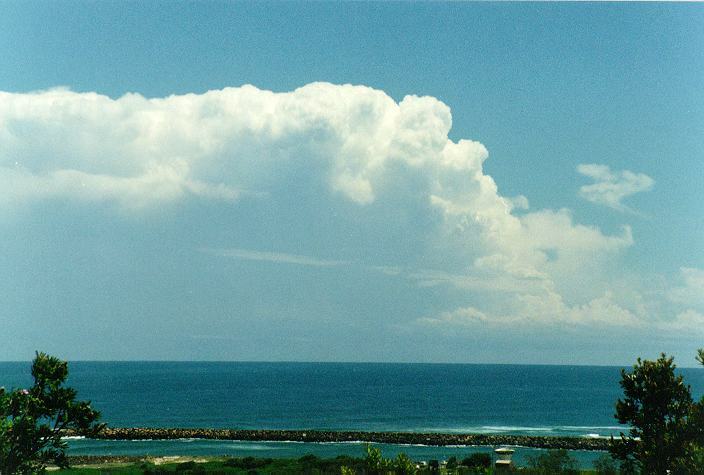 This supercell thunderstorm developed around noon off the coast to the south of Ballina NSW, 31st December 1996. 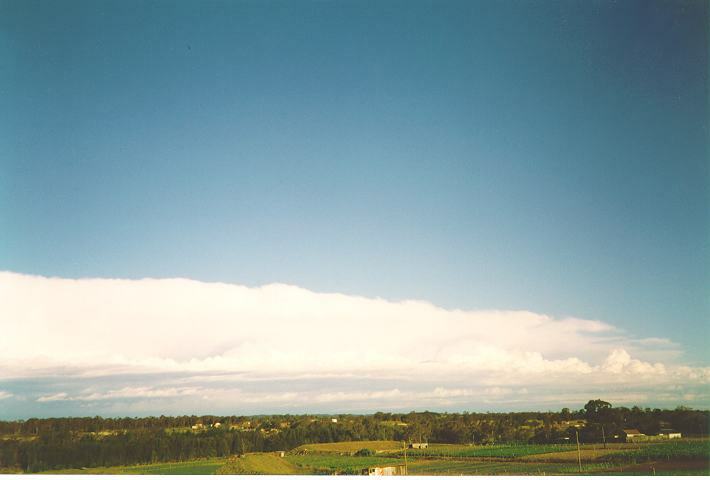 A wall cloud developed by 2pm and is visible in the second image (the northwest flank of the storm). A tornado/waterspout was visible to the eye, but not recorded on film. 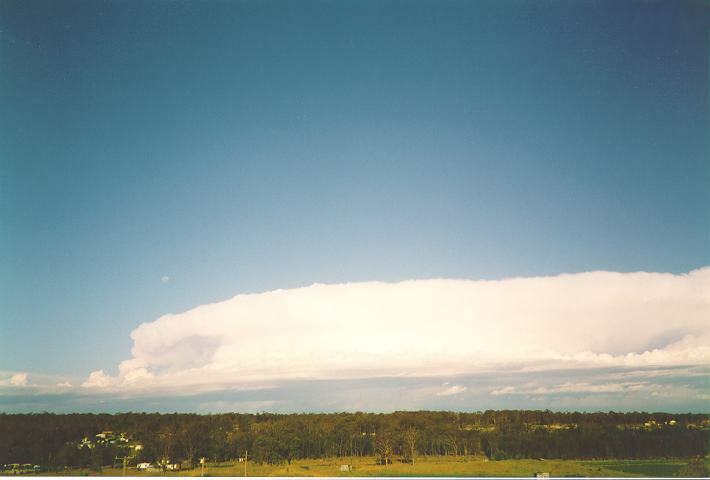 Try this for a shelf cloud approaching the southwestern suburbs of Sydney on the 7th January 1997. It is almost touching the ground! (If anyone experienced severe weather in this storm please e-mail Jimmy Deguara with information).